Stellar Four: Axes and Monsters and Tentacles, Oh My! Axes and Monsters and Tentacles, Oh My! There are lots of books that I like reading this time of year. I've found a new one for the favorites list in my current read, A Night in the Lonesome October. Another fantastic read for the best month of the year is Cherie Priest's MAPLECROFT. I wasn't completely sure what to expect, other than I read a tagline somewhere on twitter that this story was Lizzie Borden meets Lovecraftian horror and I knew I had to read it. I've read Priest's Clockwork series, which feels like a modern dime novel, and the Chesire Red books, an Urban Fantasy with a snarky vampire thief. Both series are fast-paced, action-packed reads. MAPLECROFT is a different animal. I thought that we would mostly be viewing the story from Lizzie's perspective, but the book is told through the journal entries and letters of several characters. The letter approach isn't always my favorite. Sometimes I find it interrupts the story, or slows everything down to a snail's pace (like, say, Frankenstein). Not the case here. The book kept my attention, but was less non-stop action and more creeping, rising tension. We have characters isolated from society because of a scandalous murder as well as a town geographically separated from the larger metropolises. They are also facing a Problem that is completely outside their known history and experience. To think on it is to risk sanity, but they have to figure it out if they have any hope of stopping it. Something is transforming the residents of Fall River. Lizzie killed the first two, after her parents were afflicted. Since then she has studied as best as she could with the equipment at her disposal, looking to myths to try to explain the impossible. Her parents weren't the only victims, though, and soon Lizzie and her small group of allies must fight for their lives, minds, and souls. Emma, Lizzie's sister, is frail but surprisingly resourceful. She and Lizzie have a complex relationship. They have been sequestered together, sharing terrible secrets. They crave help from others but have a very realistic fear to opening themselves to the outside world. Doctor Seabury is the town doctor whose testimony helped keep Lizzie from a murder conviction. He saw Lizzie's stepmother shortly before her death, and knew she was different, that she had changed into something horrifying, even though he couldn't bring himself to mention the truth. Nance, Lizzie's lover, is an actress and a force of nature herself with an inextinguishable curiosity. Lizzie and Nance had so many forces pulling them apart, societal and supernatural. 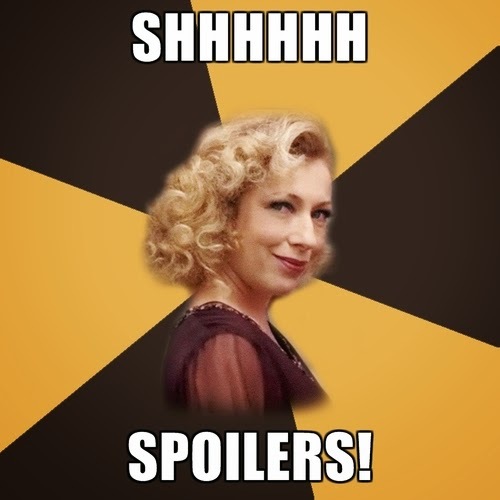 So much I would love to discuss here but can't because spoilers. I definitely felt the rising dread as a monster stalked towards our little group. The transformation and murders, while horrifying, were the kind that leaves quite a bit to the reader's imagination. And my imagination tends to go into overdrive in these situations. The whole setting felt claustrophobic as everything came pressing down. Tense, at times heartbreaking, I really fell in love with the mythology here, the historical twist. While we do get a conclusion, there is room for more. 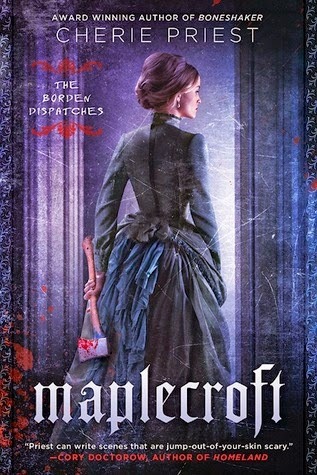 If you are looking for something creepy, engrossing, and refreshingly different, go pick up MAPLECROFT. I will be pre-ordering book 2 as soon as it is available. Funny! I just read "A Night in the Lonesome October," and was looking into "Maplecroft" last week (I love Priest's Eden Moore/Southern gothic novels)! Have you seen any sites that go in-depth on "A Night in the Lonesome October"? The ones I've seen look like they're from Geocities, which makes me nervous.